Critical Role started as a group of voice actors who turned playing Dungeons & Dragons into a web series on Twitch and YouTube. Over the years, Critical Role has found massive success and the weekly Twitch streams have branched into spin-offs, comics, and now an upcoming animated series. A month ago, the cast behind Critical Role started a Kickstarter campaign with the initial goal of raising $750,000 to fund an animated series. 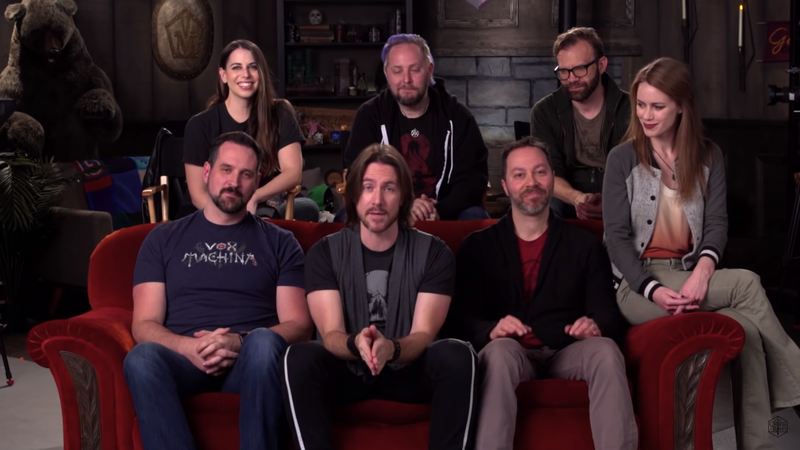 With production costs ranging between $35,000 and $50,000 for one minute of animation, the original goal was to make one 22-minute episode called Critical Role: The Legend of Vox Machina Animated Special. After the first hour of the launch at the beginning of March, the campaign eclipsed $1 million raised. By the end of the day, the campaign reached $4.3 million, which cleared multiple stretch goals, allowing Critical Role to produce four episodes. Today, Critical Role is close to $9 million raised on Kickstarter with over 65,000 backers after clearing its last stretch goal of $8.8 million. At this point, 10 episodes are set to air in the fall of 2020. For now, any additional funds raised will go back into the production value of the 10 episodes. The additional episodes will include the Briarwoods’ story arc and also the Vox Machina campaign. Throughout the animated series, Critical Role teased there would be special appearances by guests. With close to $9 million raised, the possibilities are nearly endless. For now, though, Critical Role fans will have to wait at least another year for the release of the first episode.